This is my family’s version of this dish. Our sandwich version uses pork instead of beef and incorporates some traditional Cuban flavors. It is easy to make and served as an “intro to cooking” dish for my youngest son, who liked spicy food at a young age. Even after several years of Aidan cooking this, it is still one of his favorites. We’ve played with the recipe and have pretty much settle on this version. The spices play off the sweet of the onion and raisins which play off the salty of the olives. It’s a great combination! No wonder versions of this dish exist in most Latin countries. 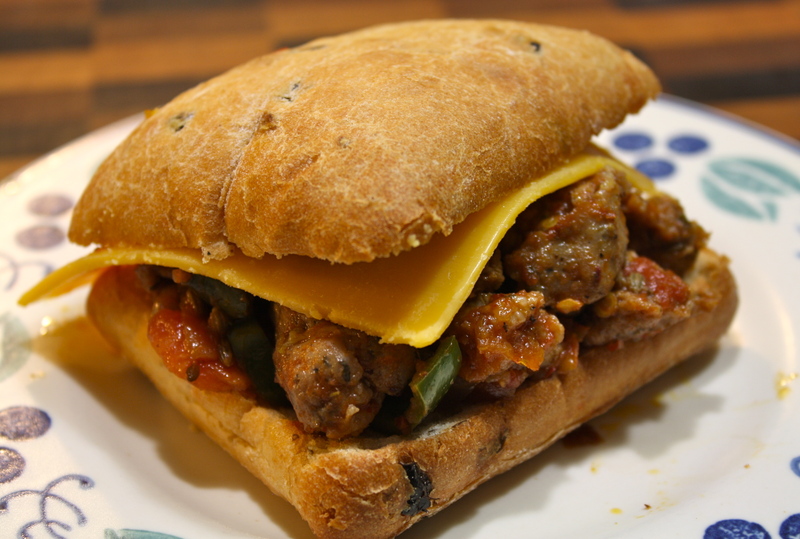 For younger children or tamer palettes, use the mild Italian sausage. Adjust the spices to suit your family. I have friends who have tried this and even their picky eaters have become fans. 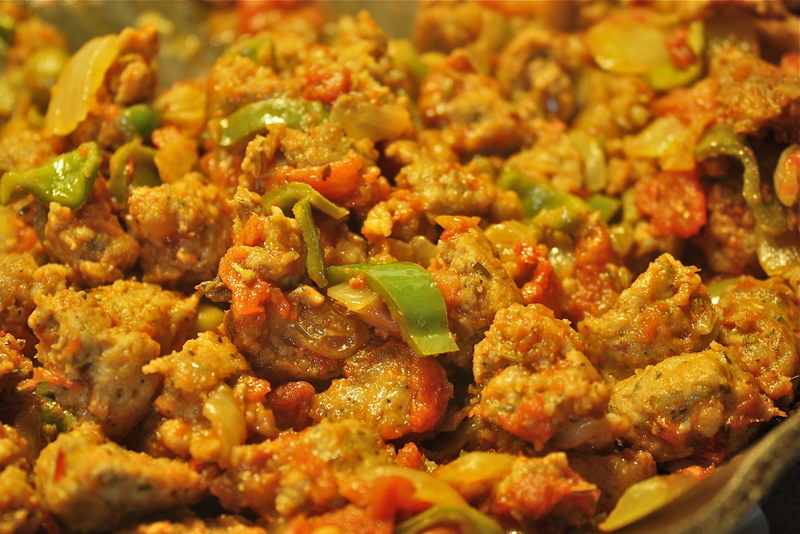 In a medium skillet, start browning the sausage, add the onions and peppers when the sausage is about 1/2 done. Saute until the onion is translucent. Drain off any fat. Return to heat and add remaining ingredients. 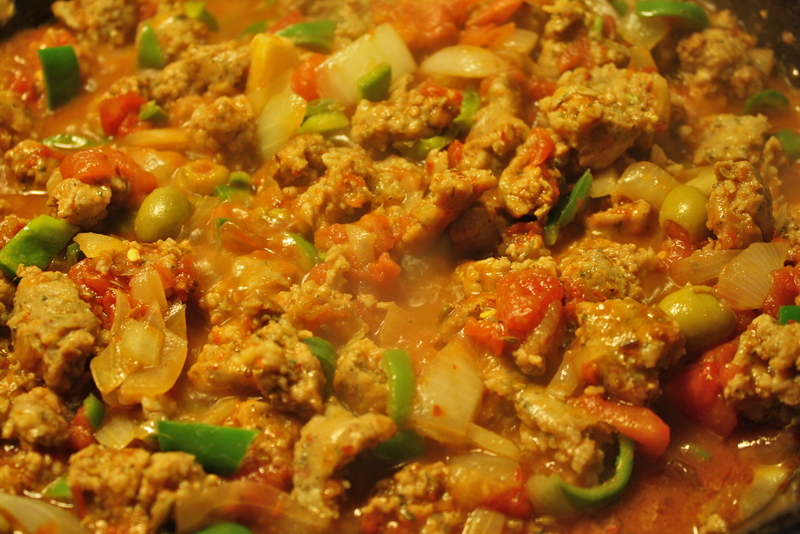 Simmer until sauce reduces and thickens, about 15 minutes. 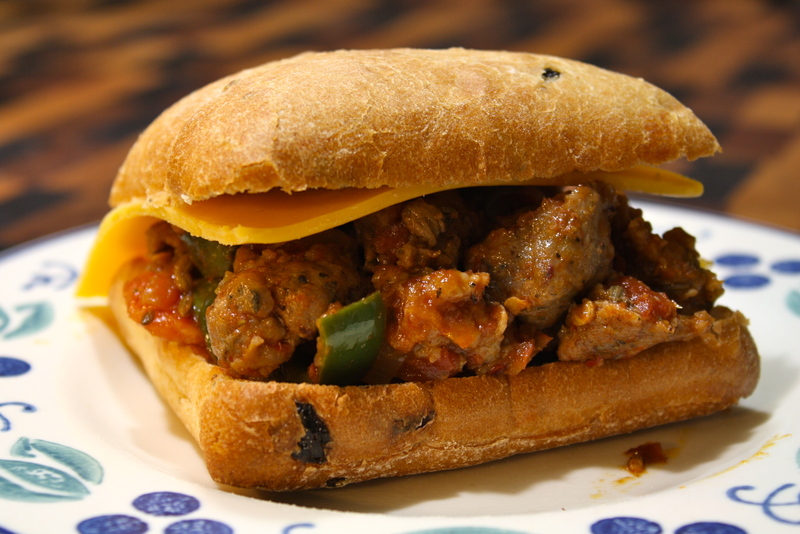 Serve on Pitas or toasted Hoagies, this time we used jalapeno ciabattas. Top mixture with sliced cheddar.